One irony is that although a slogan that glorifies history, it is a statement about the future, not the past. That’s because history is full of episodes that would, with a moment’s retrospection, illuminate the vacuity of the phrase. No one on the Trail of Tears took much comfort in the idea that the white man was on the wrong side of history. Still, there’s an implicit assumption that things have been going in the right direction for a very long time and that there’s no reason to believe they will have a serious course correction in the future. It’s always comforting to believe that the unfolding evolution of the universe is your co-pilot. Unfortunately, not only was Yogi Berra right when he said that predictions are hard, “especially about the future”; it turns out that predictions about the past are hard, too. For any prediction of how the future will unfold is really an implied statement about how you think the past will — and should — be understood. All arguments about politics, in the grandest sense of the word, are arguments about what constitutes a “usable past,” in Van Wyck Brooks’s famous phrase. We are all familiar with the idea that what we do today has consequences tomorrow. There is no shortage of high-school-yearbook-ready quotations on this subject. But the present can change the past as much as it changes the future. And while I don’t quite mean this in a literal way, I don’t mean it entirely figuratively either. For instance, for several generations, 1917 loomed as one of the most significant dates of the 20th century. When the Soviet Union was a going enterprise, expanding its borders and sowing mischief and doubt within ours, it was an open question whether the future belonged to Marxism-Leninism of one sort or another. That made the year of the Bolshevik Revolution incredibly relevant. But when the Berlin Wall came down in 1989, suddenly 1917 became less important. Of course, it didn’t lose all significance, but its grip on the present and the future no longer occupied our attention in the same way. Or consider September 11, 2001. On that day, or shortly thereafter, we all swung our telescopes to a different historical horizon. Suddenly 1923 (the year the Ottoman Empire disappeared) and 1932 (the year the Wahhabis solidified their control of Saudi Arabia) shot up the rankings of the most significant dates of the 20th century. Many of us cleared space on our bookshelves to accommodate our new reading lists, replacing dusty tomes on Communism with books about Islam. In the blink of an eye, Sayyid Qutb nudged aside Karl Marx in our pocket demonologies for the same reason. The second narrative flows from the first; it states that our problems in the Middle East are the consequence of George W. Bush’s Iraq War, which was itself the climax of the first narrative. In countless speeches — in Berlin as a candidate, in his first inaugural, in Cairo, in his announcement of the Afghan troop surge, in his commencement address at West Point, etc. — Obama has laid out a vision, or at least a version, of the world in which, if we stopped overreacting to jihadism, jihadism would stop overreacting to us. #page#The Iraq War was, in his telling, the mother of all overreactions. Pulling out our troops, closing Gitmo, and so forth would encourage peace by removing a “magnet” for trouble. According to a recent report in the New York Times, Obama told Oval Office visitors that if he’d been advising the Islamic State, he would have told them to release our hostages with a note reading, “Stay out of here; this is none of your business.” Yes, if only ISIS understood its self-interest as well as Obama does, we’d all be so much better off! Both narratives have a rich pedigree, and there’s no need to rehearse all the arguments for or against them. The dilemma for the president is that the once-solid facts that supported these views are suddenly crumbling under his feet. The argument that the fight against jihadism can be managed like law enforcement is easy to make when terrorism is out of the headlines and drones do the messy work out of sight. That same argument is very hard to sustain when the jihadis control territory equal in size to Great Britain and, when not beheading Americans, they vow to fly their flag over the White House. The idea that men who crucify Christians and bury women and children alive would somehow be dissuaded if we closed down the prison at Guantanamo Bay is almost perversely idiotic. Obama’s reliance on — to use an oversimplified term — the “blame Bush” narrative hinged on the conviction that there was no civilizational struggle, no need for a generational “long war” with radical Islam. He came into office thinking that if George Walker Bush was the cause of our problems, then Barack Hussein Obama could be the solution. Imagine the awkwardness when aides informed President Obama that he is now more unpopular in the Middle East than Bush was. More to the point, the rise of the Islamic State, and its dismaying popularity on the “Muslim street,” threatens to incinerate the narrative Obama bet on. If this movement continues to grow, if Iraq or Syria falls to it, never mind Jordan and Turkey, then the Iraq War will be seen less as the fons et origo of our troubles than as a flawed confrontation in a much larger geopolitical contest. Imagine it is September 11, 2101, the 100th anniversary of the 9/11 attacks. Now suppose that Osama bin Laden is remembered as a kind of Muslim Gavrilo Princip, the murderer who launched the First World War, which in turn put events in motion for the birth of the Soviet Union, the rise of Nazism, the Second World War, and the Cold War. Suppose bin Laden’s murderous act unleashed a multi-generation war, sometimes conventional, often not, but definitely a clash of civilizations. How will the Iraq War be remembered then? In that scenario, the Iraq War will likely be seen as akin to the Korean and Vietnam wars in the context of the Cold War: controversial, even regrettable, battles in a much larger and legitimate struggle. And it’s likely that George W. Bush will be remembered as a man who perfectly grasped the problem but offered imperfect solutions, while Obama will be remembered as a man who offered perfect solutions to the wrong problem. Just this month, John Kerry was in the Middle East prattling on about one of the gravest threats facing the Muslim world — climate change. What an interesting century it will have been if historians look back and see that assertion as anything other than absurd. On the other hand, Obama could be proven right (and let us hope that he is). The Islamic State may be an exaggerated threat. The Middle East may in fact get its act together, and the relatively quietist Muslim majority may finally realize the folly of tolerating so much horror in their name. In either case, the future will change the past. Of course, the future will almost surely not look like either of these scenarios, because the future, like the present and the past — which is to say, like life — is complicated. It depends on what men and women and nations do in life, as history unfolds. History by definition depends on human action and human interpretation. Moreover, human nature has no definitive history (at least not yet). The idea that there is a moral arc to the universe, that history has “sides,” is dangerous because it can lead to forgetfulness of this basic fact and absolve us from taking our personal and collective destinies into our own hands. Putting your faith in a dialectically deterministic universe is very different from putting your faith in God, in countless ways — starting with the fact that putting your faith in God also requires asking God to put His faith in you. God asks much of us; a benevolent universal algorithm asks nothing. Obama may be right that the Islamic State has “no place in the 21st century,” but if so, it will be because people — not the universe — make it true. #page#On July 26, the prime minister of Hungary, Viktor Orban, declared that he wanted to give up on liberal democracy. “Liberal democratic states can’t remain globally competitive,” he explained. Orban pointed to such countries as China, Turkey, and Russia, “none of which is liberal and some of which aren’t even democracies,” as exemplars of a superior approach. The speech didn’t get much attention in the West, and its significance for Hungary is very hard to gauge. But its symbolic significance extends far beyond Hungary’s borders. It is the freshest, but by no means the sole, sign that the era of democratic triumphalism is over. Francis Fukuyama is somewhat unfairly seen as the foremost exponent of this school, largely for his famous declaration that we had reached the “end of history.” The fall of the Berlin Wall, Fukuyama wrote in 1989, heralded “the total exhaustion of viable systematic alternatives to Western liberalism.” To his credit, his account did not rely on the sort of universe-as-savior notion that I’ve been describing. He offered many caveats and cautions in his analysis. Nonetheless, the “end of history” thesis has been taken as a kind of gospel by those of a Whiggish bent. This is a shame, because such confidence in the inevitability of liberal-democratic capitalism undermines the dogmatic civilizational confidence that liberal-democratic capitalism needs in order to sustain itself. If you believe liberty is fragile, you protect it. If you take it for granted, you don’t. But even with all of the qualifications and hedges, there was reason to think that Fukuyama was right. Democracy had won the argument at the highest level. One of the best indicators of this was the fact that even the most horrific regimes and barbaric movements had to deploy the rhetoric of democracy. To this day the prison-state that is North Korea calls itself the “Democratic People’s Republic of Korea,” just as East Germany called itself the “German Democratic Republic.” Bashar al-Assad and the mullahs in Iran feel the need to hold elections and referenda for the sake of appearances, just like Saddam Hussein and Hosni Mubarak before them. Even terrorist groups had to pretend that once the blood on their hands was washed away, a truer democracy would be in their grasp. The public deployment of democratic rhetoric by undemocratic regimes was the tribute political vice paid to political virtue and an important indicator of democracy’s status in the minds of people everywhere. Rhetoric, in literary critic Wayne Booth’s famous phrase, is “the art of probing what men believe they ought to believe” — and for a while, it appeared that everyone believed he ought to believe in democracy. Viktor Orban’s very public yearning to build an alternative to liberal democracy, and the tepid international response to it, suggests that it’s now safe to talk about making the world safe for non-democracies. How many times has Barack Obama, Friedman’s most influential reader, invoked China’s economic planning as something we need to emulate? How many remoras of the Leviathan have offered similar encomiums to statism? “The conservative-preferred, free-market fundamentalist, shareholder-only model — so successful in the 20th century — is being thrown onto the trash heap of history in the 21st century,” declared former SEIU president Andy Stern in the Wall Street Journal in 2011. Again, this is nothing new. Similar sentences were written countless times in the 20th century, insisting that the free-market fundamentalism of the 19th century was being thrown onto the same trash heap. Anne Morrow Lindbergh famously coined the phrase “wave of the future” to describe the inevitability of collectivism in 1940. The lesson here is not that history proved them wrong, because history doesn’t do anything. They were proved wrong because people proved them wrong. 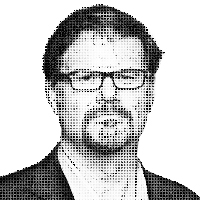 — Jonah Goldberg is editor-at-large of National Review Online and a fellow at the American Enterprise Institute. You can write to him by e-mail at goldbergcolumn@gmail.com or via Twitter @JonahNRO. This article originally appeared in the October 6, 2014 issue of National Review.